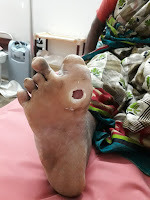 Diabetic feet are quite common amongst our patients. 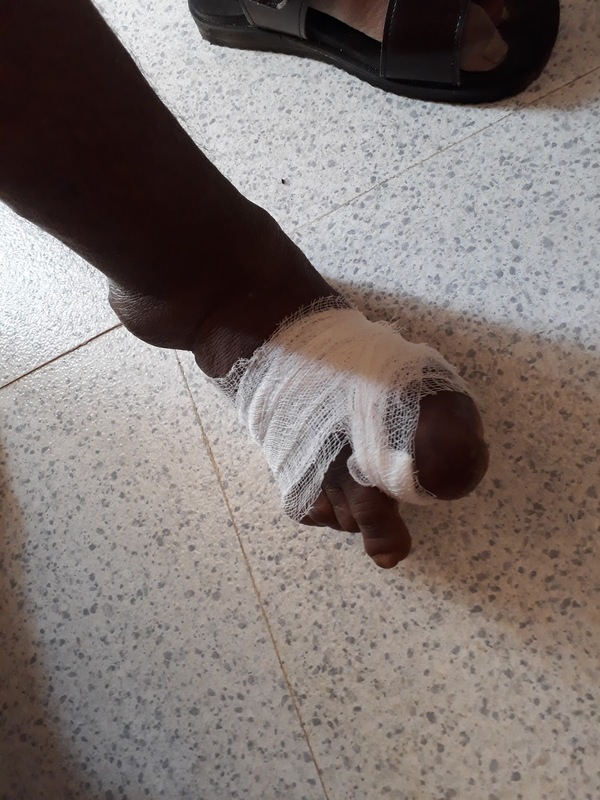 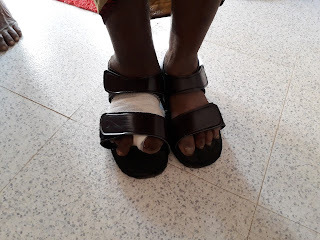 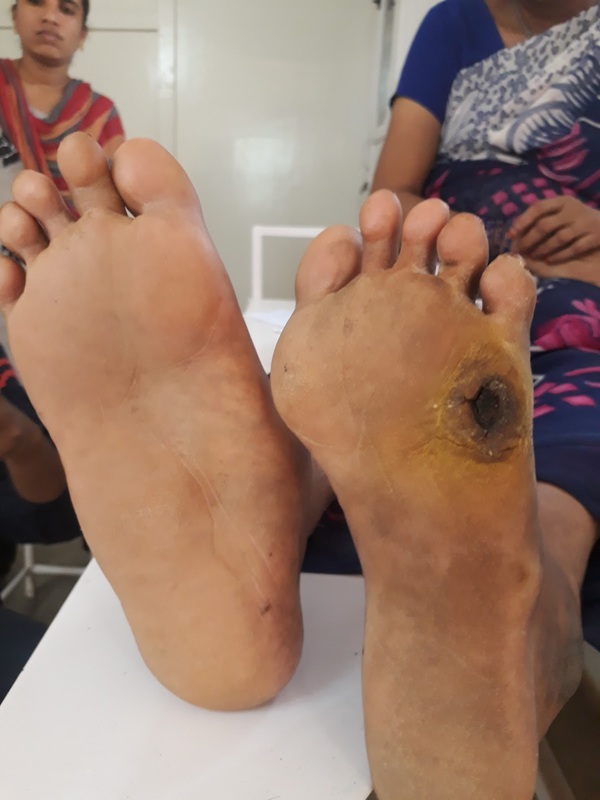 Its a leading cause of debility, morbidity resulting in loss of wages, increasing difficulty in finding work etc and a source of stress for the family to look after one with a diabetic foot, particularly those which are infected and smelling like god knows what. 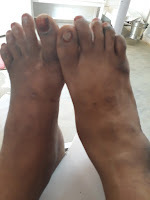 To be able to treat and provide some sort of quality of life is of paramount importance. 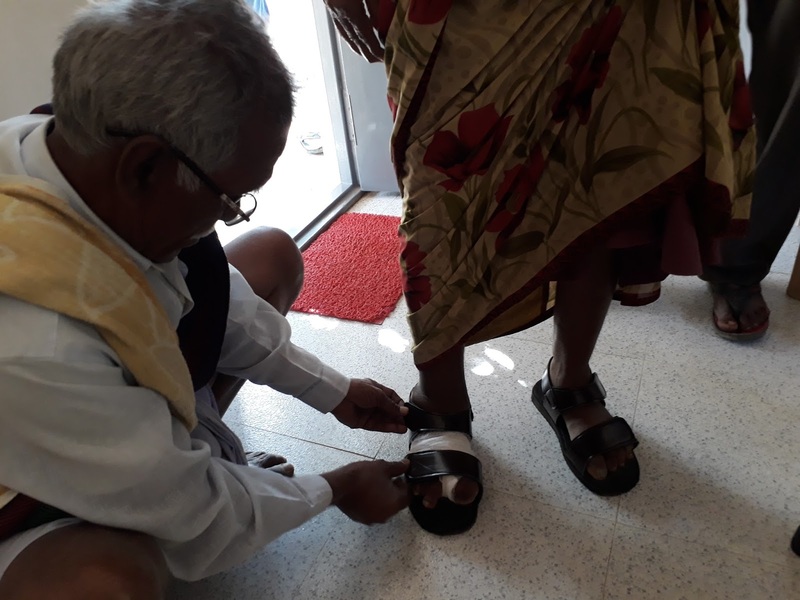 The pictures below show an old lady with a diabetic foot who has been provided with orthotic footwear designed at the RHC. 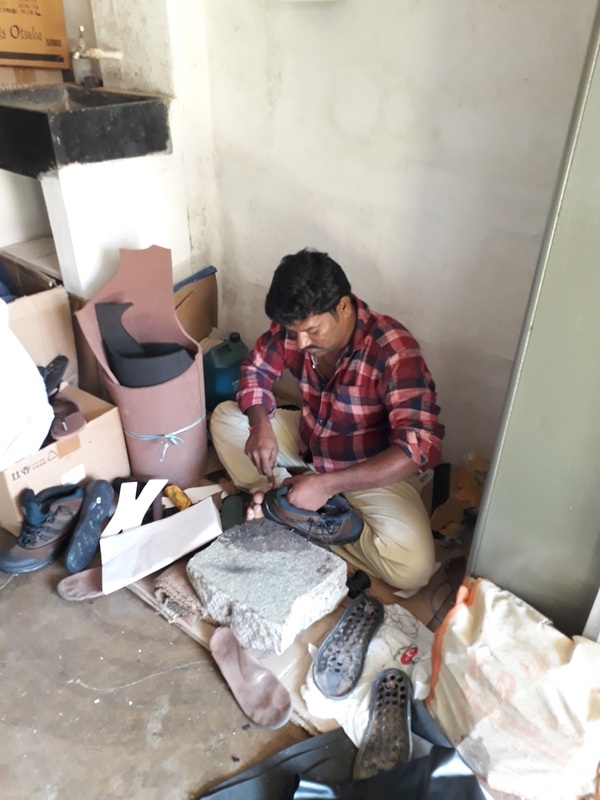 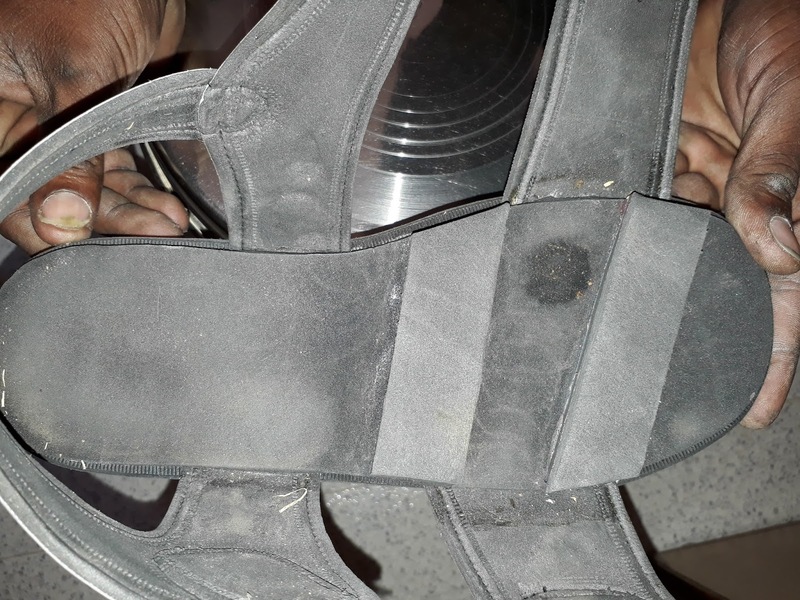 An excellent cobbler who understands what is needed and is able to translate and execute the design that I give him helps us make this footwear.